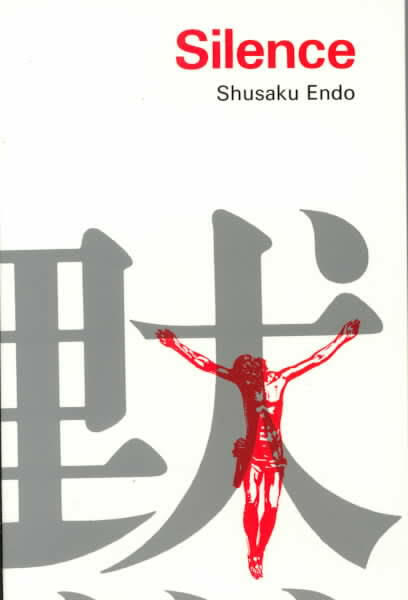 RORATE CÆLI: "Silence" = the antithesis of "A Man for All Seasons"
"Silence" = the antithesis of "A Man for All Seasons"
In 1966 the movie "A Man for All Seasons" was released in the U.S., the same year Japanese author Shūsaku Endō wrote the historical fiction novel "Silence." Last night, the Vatican hosted the world premiere of the movie version of "Silence," which will be released next month. Shown at the Pontifical Oriental Institute, administered by the Jesuits, approximately 400 priests and others attended. Rorate's invitation to the screening may have been lost in the mail, so we have not seen the movie. But based on the novel, the endings for the two 1966 works could not be more opposite. One concludes with heroism and martyrdom, the other with indifference and apostasy. The adaption of "Silence" for the big screen was done by Mr. Martin Scorsese, a former seminarian (Cathedral College minor seminary in New York) who is now a self-proclaimed "lapsed Catholic." One may remember his scandalous and sacrilegious 1988 movie, "The Last Temptation of Christ." To make "Silence," Scorsese chose James Martin, S.J., as a consultant for the movie. You will notice we chose not to offer hyperlinks for "The Last Temptation of Christ" or Father Martin, S.J., as none are needed as we try to prepare ye the way of the Lord this Advent. Following last night's Vatican screening, Scorsese and Mexican producer Gaston Pavlovich met with Pope Francis. According to a Variety reporter in attendance: "The private papal audience, held in the Apostolic Palace, was announced by the Vatican press office Tuesday in a clear show of support for 'Silence,' Scorsese’s passion project." Now, perhaps the ending to the movie "Silence" is completely different from the ending to the novel "Silence." We sure hope so. If not, the world will soon witness a $50 million renouncement of the Catholic Church by members of the Society of Jesus, as tacitly endorsed by the current (Jesuit) pope. The novel, which was absolutely terrific up until the end, has a clear message to leave with readers -- the opposite of Saint Thomas More's example to England and the world. Apostasy should not be celebrated by the Vatican. These Jesuits are men for no seasons.